Wallace Rayfield was a pioneer in the feld of architecture. The Macon, Georgia native was born in May 1872 and received his early education there. Following his mother’s death, Rayfield moved to Washington, DC, where he secured a position as an apprentice with a prominent architectural firm while also attending Howard University. To pursue his interest in architecture, Rayfield moved to New York. After earning a graduation certificate from the Pratt Polytechnic Institute, he completed his education with a bachelor of architecture degree from Columbia University, one of the nation’s premier schools of architecture. 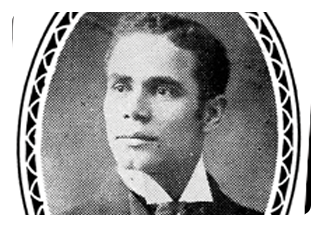 Following Rayfield’s graduation from Columbia, Booker T. Washington recruited him to become director of the Architectural and Mechanical Drawing Department at Tuskegee Institute, where Rayfield worked until 1908. He opened his first private architectural office in Tuskegee in 1907, with branch offices in Alabama and Georgia. In 1908, he moved his practice to Birmingham, where his business began to expand. He designed buildings for clients throughout the South and in Africa. While his company handled many different types of structures, Rayfield’s specialty was church buildings, including the historic Sixteenth Street Baptist Church in Birmingham. Rayfield’s records include files for 140 different projects in Alabama alone, including homes, commercial structures, fraternal buildings, and churches. His Alabama work also included six projects at Miles College, two at Tuskegee Institute, two at Alabama A & M, and single projects at Payne University, Selma University, and the West Alabama Normal and Industrial Institute. Rayfield’s work outside of Alabama includes a long list of projects in Arkansas, Florida, Georgia, Kentucky, Louisiana, Maryland, Mississippi, North Carolina, Ohio, Oklahoma, Pennsylvania, South Carolina, Tennessee, Texas, and West Virginia. Rayfield enjoyed a successful career as an architect for more than twenty years until the construction slowdown, caused by the Great Depression of the 1930s, forced him to close his business. He suffered a stroke and died in February of 1941. In 2010, the University of Alabama Press published a book by Allen R. Durough that contains an overview of Rayfield’s life, with numerous photographs of buildings he designed and illustrations from drawings he used in his industrial drawing classes as Tuskegee. His book, and the collection of Rayfield’s papers on which it is based, have confirmed his standing as a pioneer African American architect.